Burgess Hill Town FC (“we”, “our”, “us”) takes your privacy very seriously. The information that you are asked to provide (which may include name, address, e-mail address, phone numbers, date of birth, gender) will vary depending on the reason for the collection. In some instances, for example, if you are registering as a player with BHTFC, or purchase goods or services from us, the provision of certain information will be mandatory. We may also ask, for example, for relevant health information, which is classed as special category personal data, but which will be with your explicit consent or the consent of a parent/guardian. Please note that if you choose to provide any articles for publication on the Site or in matchday programmes or similar you may disclose personal information about yourself to other participants. If you do so this is at your own risk. In addition, selected third parties (including other commercial partners) would like to send you marketing information, by post, e-mail, or SMS. We shall only allow them to do this if you have indicated that you are happy to receive such information (either when you submit your details to us or at a later stage). If you submit your views to us via our contact form we shall circulate them internally for training and management purposes. We may also publish your views on this Site, any other website operated by us or our subsidiaries or in other media. If you do not want us to do this, please let us know when you submit your views. We shall share your information with our affiliates and third party service providers if this is necessary or reasonably required for any of the purposes above. Such third party service providers are not entitled to use your information for their own purposes. We may also share your information with third parties for marketing purposes (in accordance with the paragraph entitled “How Burgess Hill Town FC uses personal data” above) if you have indicated that you are happy to receive such information. Some of these third parties may be located outside of the United Kingdom, including in countries where data protection laws might not exist or be of a lower standard than the EU. 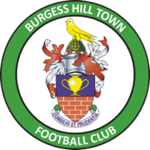 We keep personal data on our participants, members and other website users while they are signed up with Burgess Hill Town FC or any of our website services. We shall delete this data twelve months after an individual has ended their membership or affiliation, or sooner if specifically requested and we are able to do so. We may need to retain some personal data for longer for legal or regulatory purposes. In some circumstances we may anonymise your personal data (so that it can no longer be associated with you) for research or statistical purposes in which case we may use this information indefinitely without further notice to you.